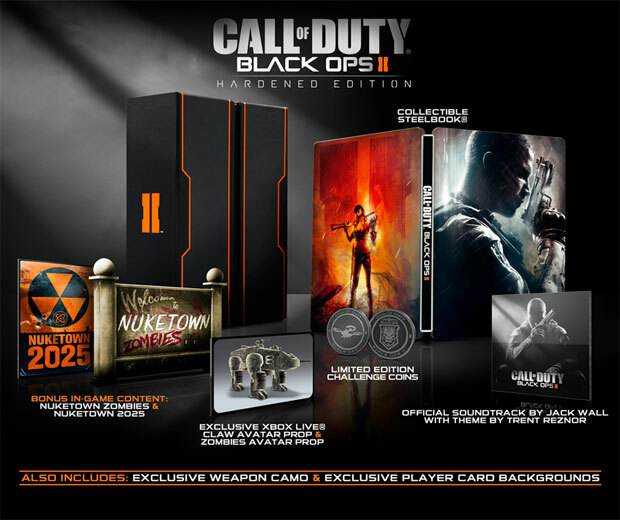 The last few Call of Duty games have had unique collector's editions and Black Ops 2 is no exception. Modern Warfare 2 included night vision goggles and Black Ops had the RC-XD, but BO2 will feature a very special collector's edition that includes a remote controlled Dragonfire quadrocopter. Collectable 2-Sided Steelbook case - features exclusive artwork. Two limited-edition Challenge Coins - key to unlock exclusive digital content. Bonus Maps - Nuketown 2025 Multiplayer Map and Nuketown Zombies. Two exclusive Player Card backgrounds. (Xbox 360 only) Xbox LIVE Zombies Avatar Costume + CLAW Avatar Prop. (PlayStation 3 only) Multiplayer and Zombies premium themes. Official Call of Duty: Black Ops II Soundtrack. 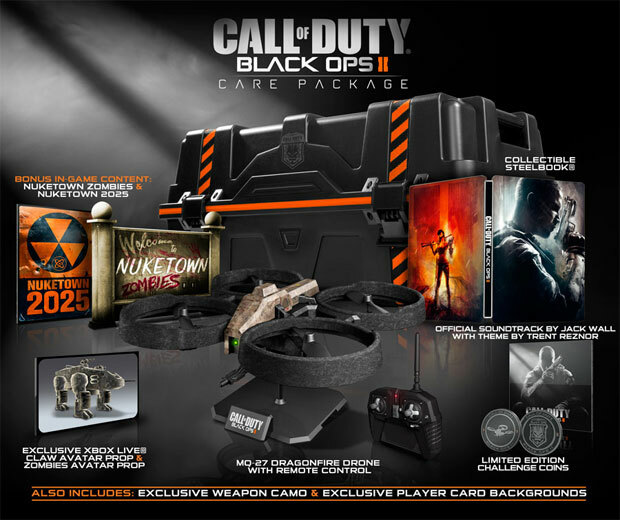 The Hardened Edition will cost $80 and the Care Package, with the remote controlled Dragonfire quadrocopter, will set you back a mere $180. PC gamers will also get a special Digital Deluxe Edition that includes almost everything that the Hardened Edition does, but the Steelbook case and Challenge Coins have been removed; a download token for Call of Duty: World at War will be included as a bonus. The Digital Deluxe Edition will cost $80 and is only available through retail stores for now, but might become available for purchase via Steam later on.